Calm, which won Apple’s much sought after App of the Year award in 2017, and Headspace are the two big money makers in this space. 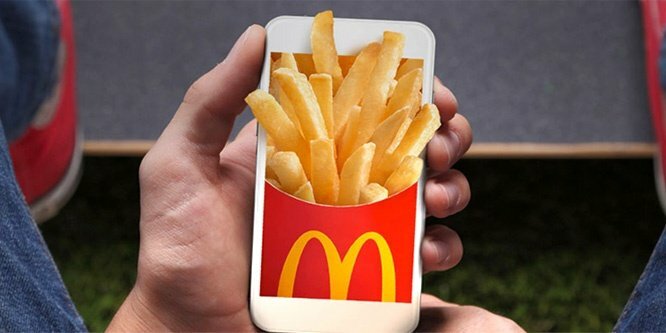 Together, they created about 88% of Q1 2018 revenue among these 10 apps. Calm specifically has seen massive MAU growth, up 81% YOY. In comparison, Headspace grew MAU 26% during the same timeframe. This type of growth for Calm likely piqued investor interest, recently landing the company $25 million in new funding. After receiving the award from Apple, its U.S. download rank rose 222 spots, from #281 to #59 overall. As you can see below, it’s overall U.S. grossing rank has been growing consistently over the past 365 days. 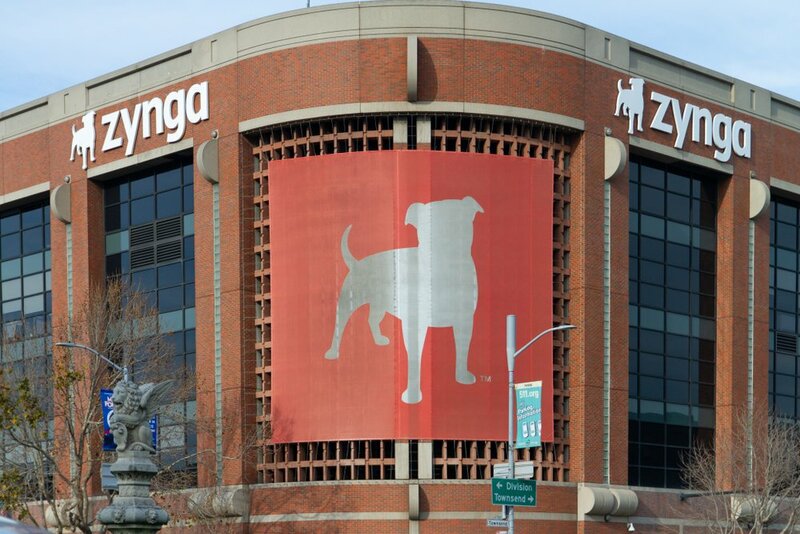 If we zoom into the Health & Fitness category, Calm’s grossing rank almost never drops out of the top 10. Calm and Headspace both sell subscriptions rather than individual purchases. The subscriptions unlock guided tailored meditation sessions. Depending on the user’s commitment and how often they want to be billed, subscriptions for Calm range from $9.99 - $59.99. Headspace is similar but it has the option to pay a one-time $399.99 fee which unlocks the product for life. 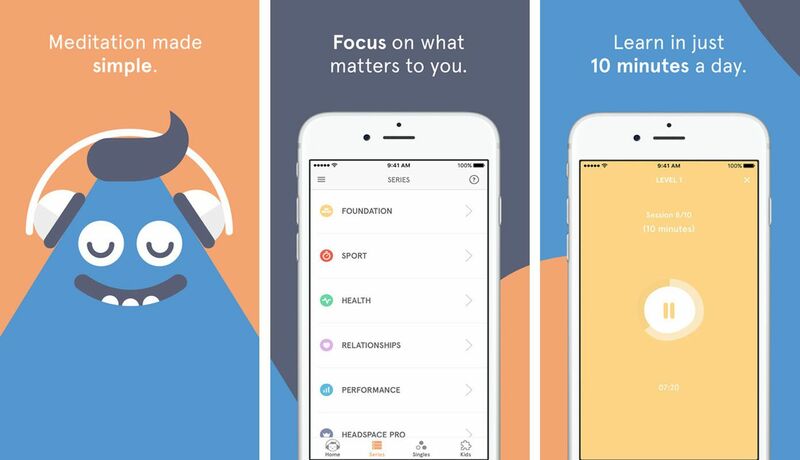 Calm lets users try the app for free for 7 days and Headspace does the same for 10 days. 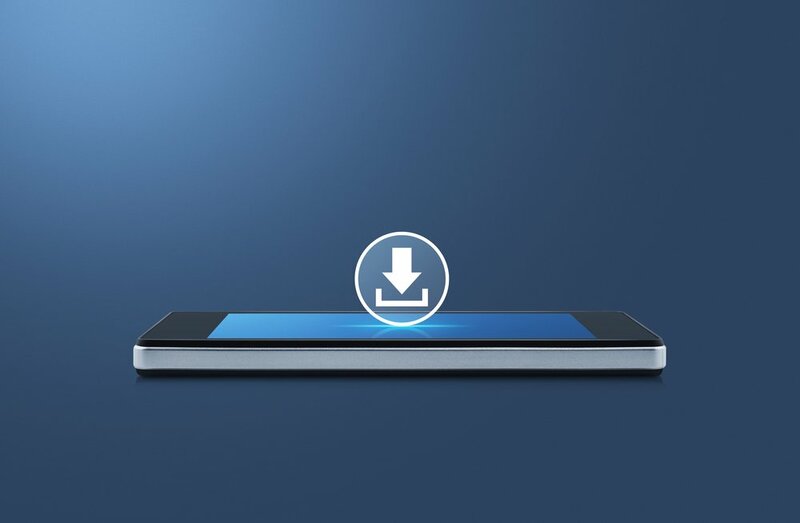 Looking at 14 day user retention for U.S. users, both apps retain about 7% of new downloads past that point, leading us to infer about 7% of all installs end up becoming paying customers at least for a month. 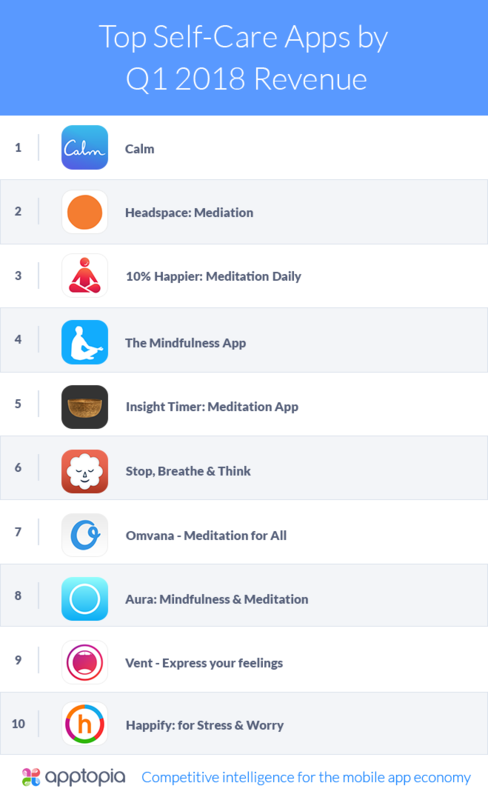 While Calm and Headspace are the most popular apps, 10% Happier: Meditation Daily has increased its IAP revenue 179% YOY. An 88% YOY bump in new installs certainly helped with that. 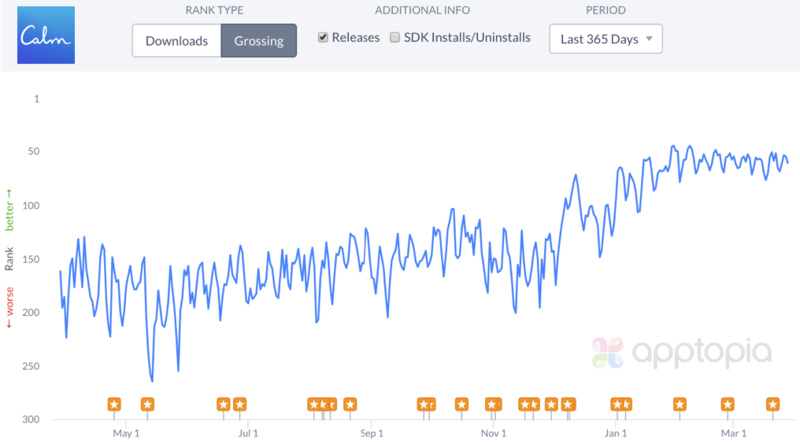 Looking at our 10 top apps YOY, all but two increased revenue, all but one increased active users, and all but one increased downloads. 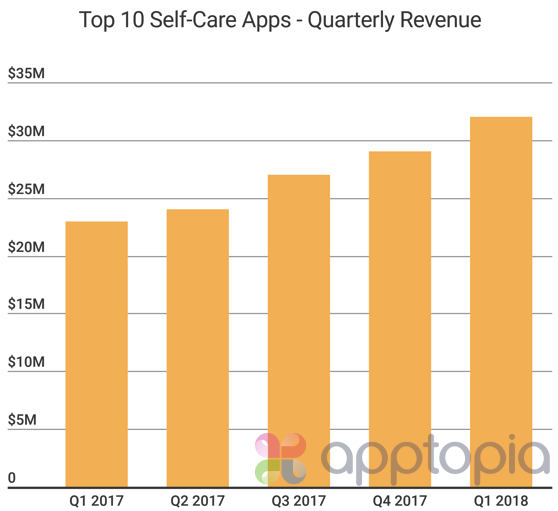 Self-care apps in general are growing within the mobile app economy. The chart below shows more new apps hitting the app stores each year than in the previous year. 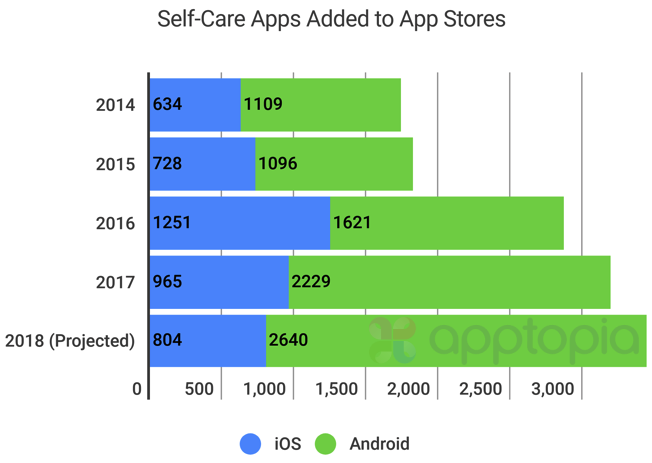 While newly created iOS apps are down the past few years (after gaining initially), enough new Android self-care apps are entering the Google Play store every year to keep the overall number of new apps increasing. The above graphic captures all new apps being created per year with the keywords “self-care”, “meditation”, and “mindfulness”. 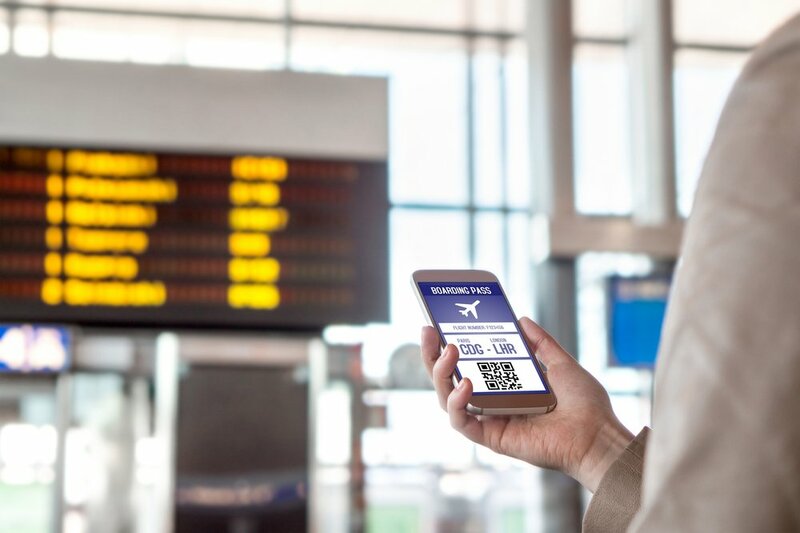 With social media and the never-ending news cycle, it’s hard to escape the constant barrage of stressful news that has been coming our way these past couple of years. Unique approaches to serious legislation, mass shootings, environmental concerns, massive data breaches, wrongful police action, and arguing on social media about all of these things is stress inducing. Being able to tap into a guided meditation or relaxation exercise at a moment’s notice is… nice.